Home » Christmas » Comments » Critique » Cuisine » History » Popular Articles » UK » Feast Your Way to Fitness! Feast Your Way to Fitness! Obesity is now a huge problem in this country. So is the number of allergies, and the days off work due to eating-related illnesses. I recently watched a programme about the Edwardian aristocracy. All the women looked slim and beautiful. Yes, I know that they wore corsets pulled as tight as possible by their maids. But anything squeezed in has to pop out elsewhere! And their faces and arms were slim. How on earth did they manage it? 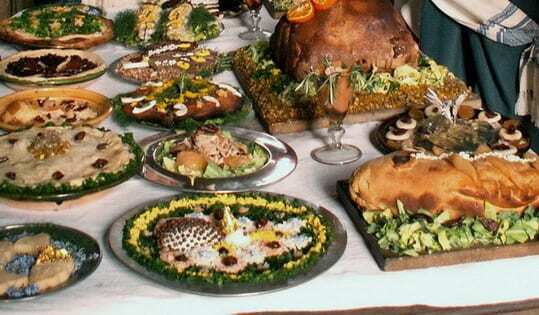 They usually started the day with a help-yourself buffet breakfast, with a huge choice, including eggs, kidneys in cream, fatty fried bacon, jams, marmalades, and lots of bread. Then they often had elevenses, with coffee and cakes. Lunch and dinner were as many as five courses with huge portions and lots of alcohol. And in between they had high tea, with sandwiches and cakes. They had thick butter on their bread, and sugar in their tea and coffee. Oh yes, and not forgetting the sweets and chocolates that they nibbled on. Exercise? Certainly not! It was unladylike. Obviously the working classes used up a lot of calories with manual labour, cleaning the house, working long hours and walking everywhere. 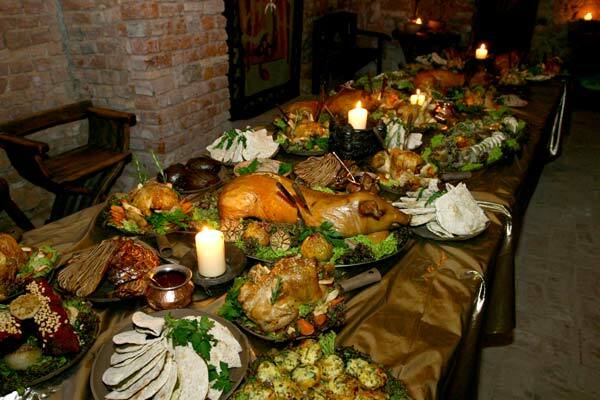 But they ate huge meals, usually padded out with lots of bread, Yorkshire puddings, pies, steamed puddings, etc. They drank pints of beer, or home-made wine. And not many of them were obese. So what’s going on in this country? Why are people getting so huge? It’s so frustrating. No matter how much I diet or go to the gym, it seems that I just have to sneeze to put on weight again! We eat healthily, with just fresh food. (I think.) I rarely open a packet or a tin. I have to be careful because a lot of food in this country makes me ill. When we go abroad, I can eat or drink anything without being ill. Why? In Venice I watched the slim, glamorous women, going out every morning with their shopping-baskets over their arms. Of course they have to walk everywhere. They can’t climb into a car to visit the local supermarket! They go to the market for their fresh meat, fish, fruit and vegetables, then they go out again in the late afternoon for their bread, milk or anything else. It’s the same in most Mediterranean countries. They shop every day, sometimes more than once, for fresh food. And they’re a lot healthier than we are. It’s part of their social life too, chatting in the shops. And woe betide any shopkeeper or market stall holder who tries to sell them any rubbish! Is it our diet, or is it evolution altering our shape and sizes? Children in the primary schools tower over me. And their shoe sizes are huge. Perhaps we’re just getting bigger naturally. Or is Nature messing with us because we’re messing with Nature? Everything seems to have chemical additives. It’s virtually impossible to avoid it. And it’s so unnecessary. Our supermarkets are open for long hours, seven days a week. Even if we hate shopping they’ll deliver it to our door. I recently met a group of children on a school trip for a few days. One of their teachers had a large carrier-bag full of medication for the children! Did you know anyone on any kind of medication when you were a kid? I didn’t. Are the doctors being too heavy-handed with dishing out unnecessary tablets to children? Is it upsetting their metabolism? Surely it can’t be doing young children any good, taking regular doses of medication? Check how many tablets contain E’s. Yes, they even add E’s to colour our tablets! Were we obese before the Government insisted on adding fluoride to our drinking water? And has tooth decay dropped since then? Apparently not. Even our bread now has a chemical additive to help it rise quicker. It’s a known fact that it upsets a lot of people. The next time that you go to a restaurant or your local pub, listen to how many people are coughing while they eat, whether it’s a complete meal or just a packet of crisps. Convenience food nearly always has additives. Monosodium Glutamate has a lot of side effects. Check them out for yourself. Even when we try to be careful we can get caught out. Those packets of washed veg and salad have often been cleaned with a flour and water mixture, or a chemical spray has been constantly raining down on them. But it never says that on the packet! Always wash everything to be on the safe side. Have you noticed how the neatly packed fruit often has a pretty red spot, obviously sprayed on? It doesn’t say what it is on the box. Mediterranean lettuces, tomatoes, etc are all different shapes and sizes. That’s how they grow. So how is it that our produce is all exactly the same size, shape and weight? It’s unnatural. Even our chickens weigh EXACTLY THE SAME! Have you noticed that there’s something missing in our supermarket fruit and veg aisles? It’s the smell! They’re almost completely odourless. Go to a market abroad and inhale. The housewives will pick the food up and sniff it. It smells gorgeous. Maybe the fact that the food producers are tampering with nature is upsetting the balance of our bodies. It’s definitely upsetting our health. I’ve suffered a lot through eating the wrong foods with additives. 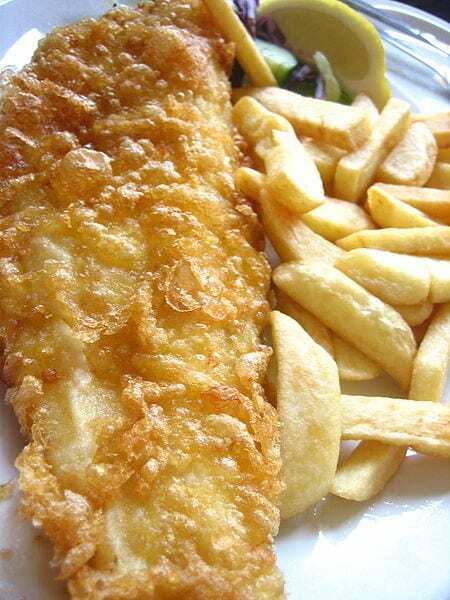 I once passed out after fish and chips! The potatoes are often ready-chipped and treated to stop them turning brown. And the batter comes ready-made in a huge container. It’s a common problem and it’s time that the supermarkets sat up and took more notice! We can write to the supermarkets and complain about everything that has additives, or doesn’t seem to be naturally produced. They do take note of what their customers say, and they don’t know what we want unless we tell them. And we can write to our MP. A lot of them agree with our views, and they have to take it further on our behalf. Some people believe that they can’t afford to buy fresh food. Untrue. Nothing’s free. You’re paying for all the packets and labels. Yes, and the chemicals. If you buy fresh and often, you’ll use it all, so you won’t waste food. And you’ll save money on medicines, having to buy larger clothes, and having days off work! Just write a list and plan ahead what you need. Don’t ‘impulse buy’ unless it’s definitely something that you’ll need in the next few weeks. Buy directly from the producers, at Farmers’ Markets and farm shops. Then you can ask them questions about additives, etc. And finally, maybe it’s time to stop all the faddy diets and eat as we’re meant to – and as we want to! Stop using man-made sweeteners and put sugar in your tea. Or go without. Throw away the cardboard-tasting, chemically-enhanced breakfast cereals, and get the frying-pan out! Let’s eat, drink and be merry again. Well it’s worth a try, isn’t it?